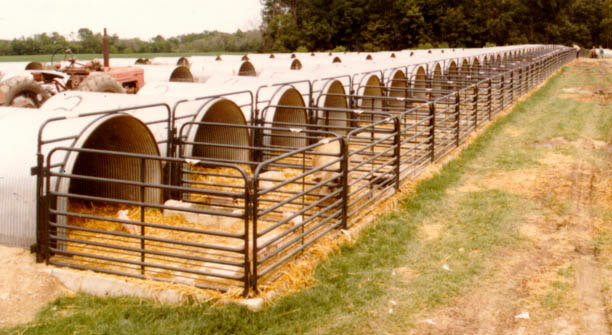 Optional farrowing Pen for Port-A-Hut made from 1-1/4" O.D. Round Tubing. Panels are 6' long, 39" high. Special panel fits over Port-A-Hut. Can be used individually or hooked together.